I woke up around 3 in the morning on Monday and went to the bathroom. I'm not one of those pregnant ladies who have to go to the bathroom all night long--I'd normally go once or maybe not at all. Since I was awake, I decided to go to the bathroom, even though I didn't really need to. Once I got to the bathroom, things started a-leakin'. In the middle of the night fog, I was super confused as to what was going on. I suspected my water perhaps had broken, but it didn't seem the way I'd imagined it to be. So I sat around a bit to see if I was about to have a baby, and then went back to bed. And slept on a towel. I started having some contractions that were about 12 minutes apart and hurt a little--and then eventually fell asleep. Real responsible. In the morning, I eventually told my mom (who had arrived about eight hours before my water broke JUST IN CASE I went into labor early) and Sol--and then called the doctor. They told me to come in to check--so I frantically started packing a hospital bag and took a shower. And tried to find some baby clothes. Needless to say, I wasn't really prepared. Other things going on Monday morning? Oh, we had hired a handyman to come and paint 6 rooms, install 3 ceiling fans and put in a new sink and garbage disposal. So that was happening in the background. AND I had decided that the best way to have the baby early was to make lots of plans--so Finley also had VBS and swim lessons to get to. It was chaotic. Sol and I went to the OB at 10 and they couldn't decide if my water had broken or not. I was pretty sure it had and was not looking forward to them telling me I accidentally peed my pants. 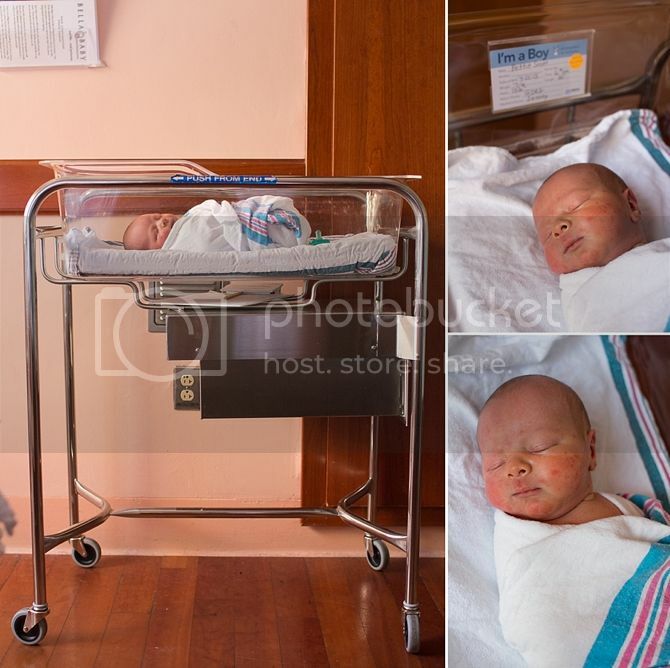 They sent me to the hospital for a test to see if it had broken or not--and then I was sent back to the OB because there were no beds left in the labor and delivery center. Finally, at 12 they decided my water had broken and sent me to go have a baby. I had sent Sol back to help my mom get the kids to the pool so they could hold on to some of their routine and would be out of the way of the handyman. FINALLY FINALLY I got started on Pitocin at 4. I immediately inquired about an epidural--I was induced with Finley and Braden and ended up with epidurals that didn't quite work--leaving me in a lot of pain in the end. I was looking forward to a nice pleasant labor--and was worried that I'd miss my window for an epidural since I tend to have babies really fast. They kind of acted like I was crazy... and made me wait a bit. After about 45 minutes, they came back to check me and sent for the anesthesiologist. Things were starting to really hurt. The anesthesiologist walked in--and was immediately called out to do an emergency c-section. They promised me he'd be back soon... but he wasn't. The nurses shut off my Pitocin to slow things down, but that didn't work. About an hour later after terrible, horrible contractions, they finally decided I could push. And of course, right then the back up anesthesiologist came in--but it was too late at that point. So no epidural. I was so hot--Sol was fanning me with a drink carrier from Chick-fil-a. I actually screamed because it hurt so much--something I hadn't done with the other boys. SERIOUSLY IT HURT A LOT. A little after 6, they got me ready to push and after I pushed once, everyone started yelling for me to stop--the cord was kind of around his head and they had to wiggle it off (I think?) And then he was here. Little Keaton John. They flopped him on me for a minute, and then took him away to make sure he was breathing ok--and he was so sweet. And little. Total: two hours of labor, one push. I honestly don't think I could have handled much more without some drugs. I said with Braden I wanted to beat my marathon time in labor--next time I think I'll try to beat my 5K time. 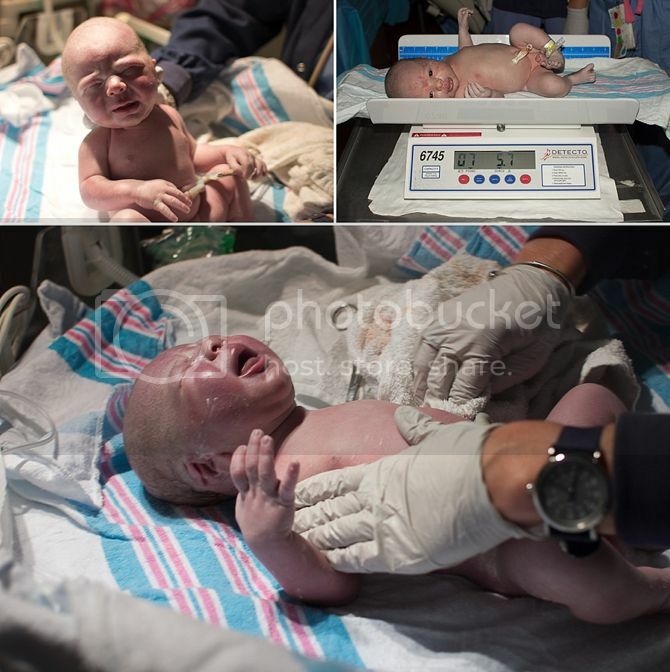 He was 7 pounds 6 ounces--more than a pound less than Finley. He was 20 inches long--3 full inches shorter than Braden! He's so little. I had terrible guilt about not having a new outfit for him to wear home--but luckily he gets to wear all the newborn clothes that his brothers never got the chance to wear more than once. I also bought him the lovely Aden and Anais blankets I'd had my eye on for awhile out of guilt--and then was pleased to find out they were the same ones Prince George came home in. After Keaton and I were all cleaned up, Sol and I decided to keep him. Such a sweet little stinker. And seriously--I've never had a sweeter baby. He may have cried once in the hospital--he was so content to sleep and be cuddled and look around. Sol and I could not get Finley to stop crying when he was born--who knows if that was his temperment or our own inexperience--either way, we're grateful that baby #3 has been very good to us. So far. My mom brought the boys up to see Keaton around 7--and it really didn't go very well. 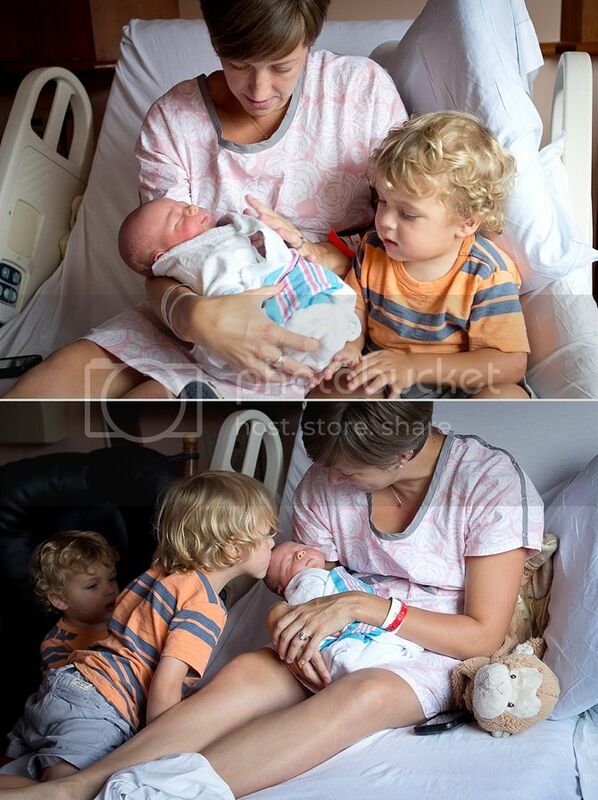 Braden came in saying sweetly, "I got a baby brother!" and had to be carried out as he cried, "I WANT TO KISS MAMA!" Break my heart. 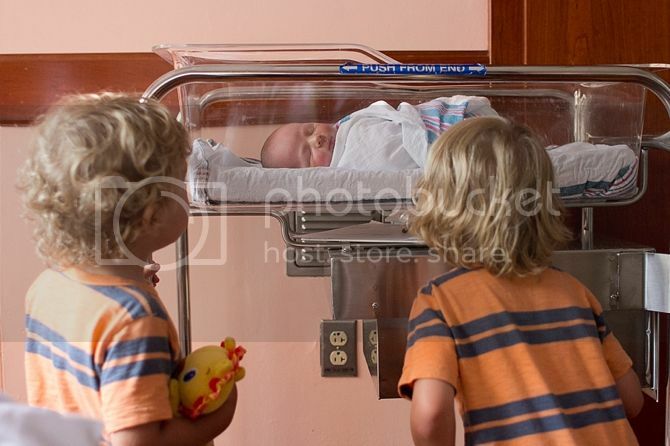 Both boys were cautious and only mildly interested in Keaton. Typical. My mom reported that Finley did kiss a picture of Keaton later that night and said, "Goodnight Keaton John!" My mom came back with the boys the next day and it went much better. I had Keaton in the bassinet when they came in so they could peek at him safely and hopefully not freak out that I was holding another baby. We were armed with Chick fil a and had "presents" that Keaton got for the boys. I had ordered presents for them on Amazon the day before, but they didn't make it in time. Sol ran out and bought some Duplos, which they happily played with in the bed with me. Braden would sweetly pat the baby's head and say, "HOT." Which is good, maybe? And Finley was willing to give him a kiss on the head. Lots of people have asked how Braden is doing--and he's doing fine now. He missed me and just wanted to sit next to me in the hospital, but has been really fine now that we are all home. 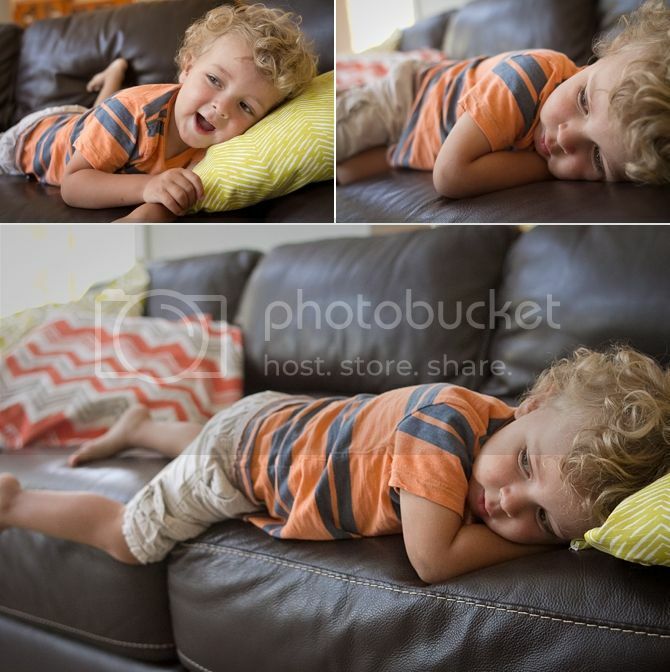 I mean, he's two and has tantrums, but he's bounced back pretty well. Finley brought Mama Monkey (of course) to the hospital and shared her with me to "keep me warm." My favorite Finley incident was when he made himself breakfast while we all slept our first morning home--a bag of Sour Patch Kids. Classic. We're really happy to be home together. And really happy that Keaton has been taking it easy on us. And most importantly, we're really grateful for SOL... whose birthday it is today! HAPPY BIRTHDAY LOVE! I'm so glad Keaton wasn't born on your day. And I'm so glad you were. We love you very much--and I couldn't have a better guy be the dad to these boys. They are lucky to have someone who loves them so much. And so am I. You know how I had a baby on Monday? Just for a bit, let's pretend that didn't happen. My babies are late. I was induced with Finley and Braden and was sure that was what was going to happen with Keaton too. So eight days before my due date, we packed up for a quick trip back to Virginia. We saw as many friends as we could, helped host an adorable Pinwheel Party... and squeezed in some maternity pictures. 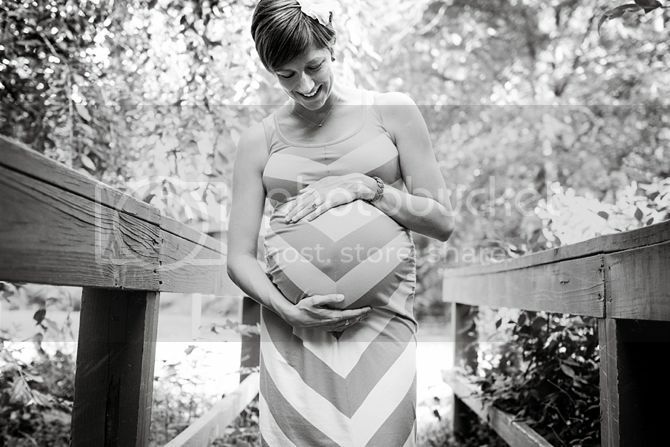 My favorite photographer, Jenn, couldn't believe I hadn't done maternity photos before--and it's because I feel really awkward standing by myself. And slightly more awkward posting said pictures on the blog. 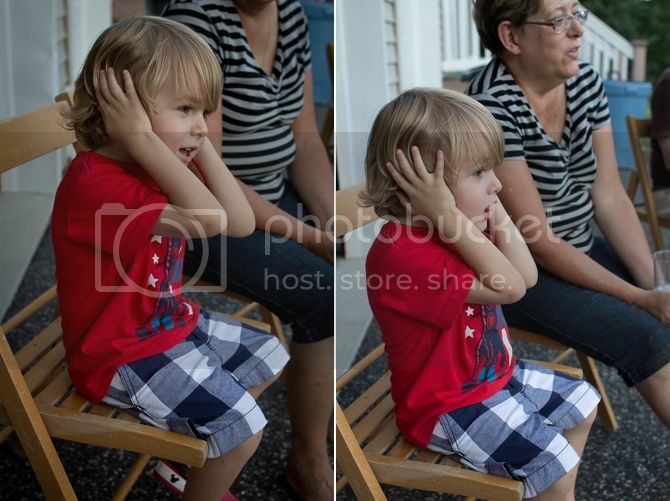 I think you can tell by these pictures how excited Braden is about all the changes... (NOT EXCITED.) I have so many feelings about what it was like to go into labor on my own--and they'll get their own post. Right now I'm a little sad I won't get to wear that dress again (I mean, until Round Four) and a little overwhelmed with finishing some of the little tasks that I had planned to do this week. LUCKILY, my mom decided to come a week before my due date--just in case I went into labor early. She was here about six hours before my water broke. So the boys were taken care of, and now I have three weeks of help from my mom! Yippee! 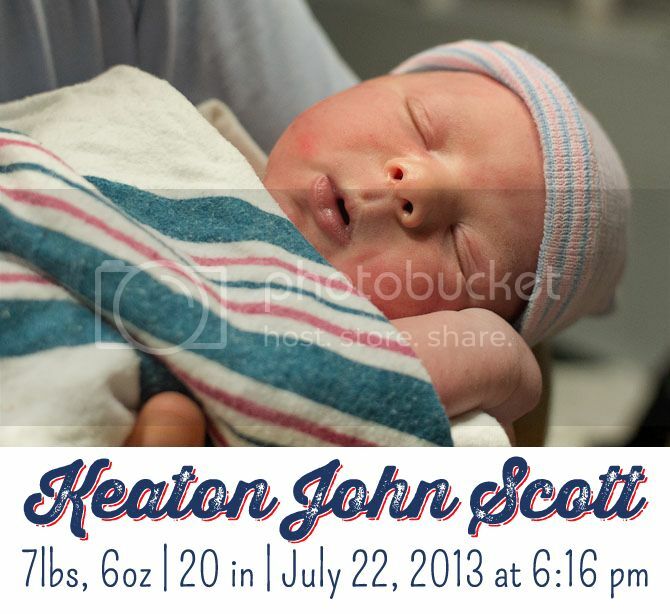 Thanks for indulging me-it seems so far away that Keaton was in my belly! Next time I post I'll be back to acknowledging that I'm not pregnant anymore. I'm happy to be able to move a little easier and have a cute sweet cuddly little guy to love on. And grateful for all the sweet messages and words from friends! Not wanting to be outdone by royalty, look who showed up a week early. More pictures and interesting tidbits to follow. Back in February, Sol took the boys to the Dulles Air and Space Museum. Finley and his pal Edmund saw a clip from Transformers that was on a 30 second loop playing there--Finley had to be torn away from it. And it automatically made him the reigning authority on Transformers. Whenever we drive anywhere he makes "Transformer" sounds and when I ask him about it, he tells me it's not him--it's something behind our car. 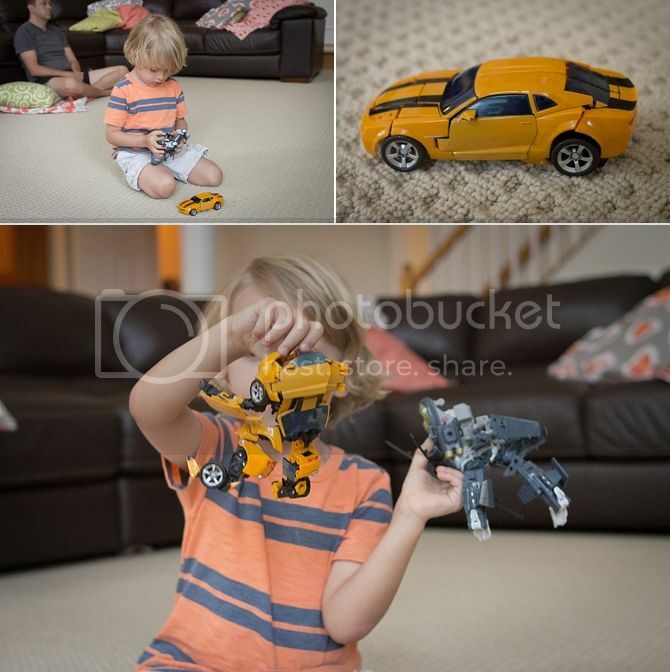 He can sit and play with his Transformers indefinitely. He draws them all the time. He talks about them all the time. He's pretty much smitten. Here's a video of him being Optimus Prime. It's long. And the middle is boring. The last minute is funny because I finally get him to talk to me and the first minute is entertaining--watching him scoot around and "transform." Also, his nose was randomly bloody that day. Weird. And not to leave out my cuddly guy Braden--he was wiped out last night from some serious fun at the pool and choosing to NOT take a nap. 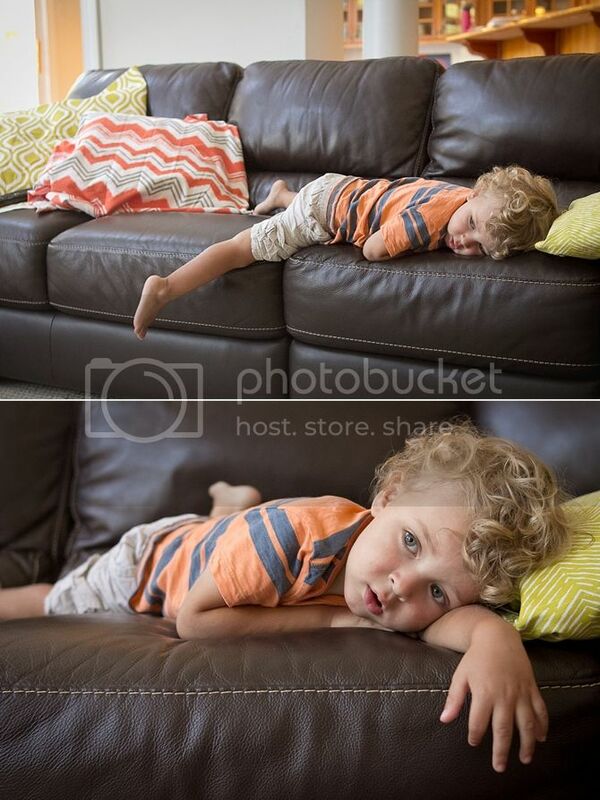 I couldn't get over the laying on the couch. I'm not sure why I found it so adorable, but I did. Probably because I'm his mom and I think his poop is adorable. Also, please ignore the "pillows." I was trying decide what pillows to make, so there's random fabric wrapped around pillows all over the couch. They'll definitely be made before the baby gets here, don't worry. If there's one thing babies need, it's decorative pillows on the sectional. Quick baby update: he is due July 28. He kicks me a lot. My mom gets here Sunday just in case I go into labor on my own (HA!) and I'm still hoping they'll induce me at 40 weeks. I found out today my platelet count is low, which means I might not be able to get an epidural. Not awesome. Finley can't wait to meet the baby. Braden... oh that sweet boy. He doesn't know what he's in for. When I asked him if he was ready for bed a few nights ago he said, "Need to cuddle with mama." So we cuddled on the bed for like 20 seconds and he said, "Thanks mom." and went to bed. I hope he loves the baby as much as he loves me. Our house has a playroom. Technically, it's called a conservatory, but I'm not sure what I'm supposed to be conserving in there, so currently it's conserving toys and mess. 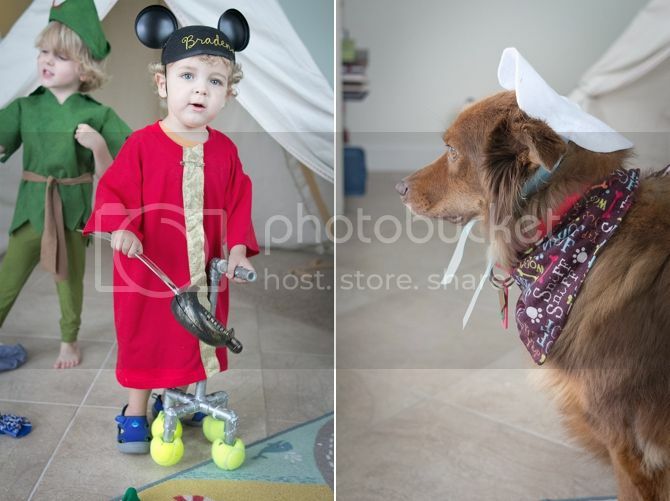 These pictures and video are from almost a month ago, so the room looks considerably different now... but one of the highlights (in my opinion) is a corner of the room with all their costume-y things to play with. 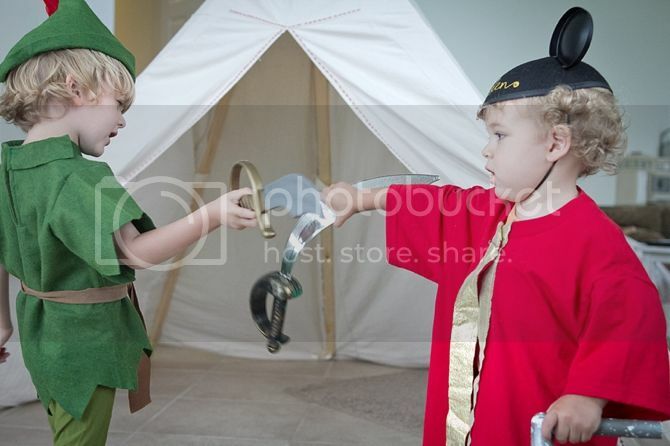 This day, we were playing Peter Pan. 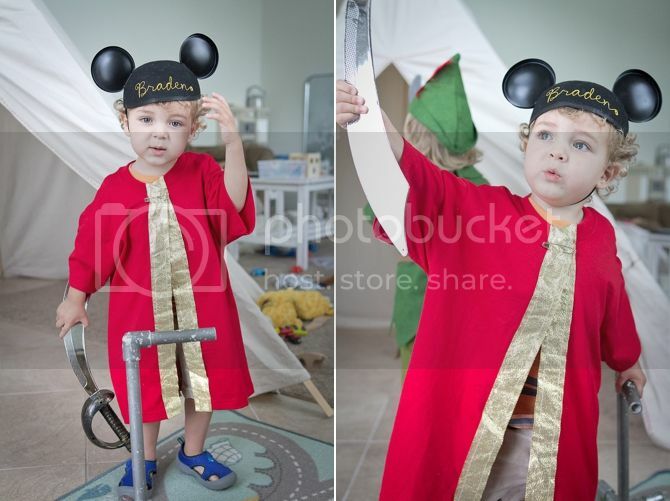 The best part of this is obviously that Braden is wearing half of his Captain Hook costume (no hat or hook) but he is wearing his Mickey ears and carrying Mr. Fredericksen's cane. Obviously. And Copper let me dress him as Nana for like five minutes. Finley loves to wear his costume for like ten minutes, tops. The hat has a hard time staying on and the shirt is felt. Not comfy. 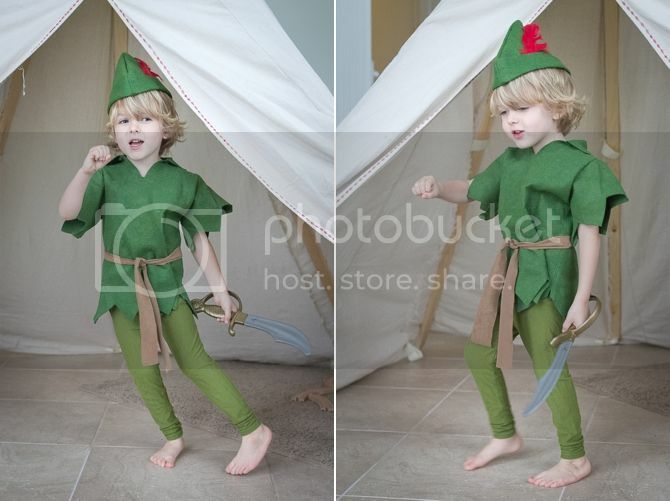 But have you ever seen a skinnier or cuter Peter Pan? Probably not. This child. We need to also have a talk about how to safely wield a sword. You'd think that not holding a sword by the blade would be innate knowledge... but you'd be wrong. Also he's wearing his swimming shoes. Please tell me what this all means. And now for some of the most lackluster sword fighting you will ever see. I mostly love these videos because I love being able to go back and listen to their little voices. I love the way Braden says "sword" and "treasure chest." It's like there are just too many letters for his little mouth. Them saying "TAKE THAT!" to each other just cracks me up. But I'm their mom, so that makes sense. I hope you find someone to sword fight with today. By now I know that if you don't blog about what you did on the Fourth of July, your blog gets shut down. It's serious. 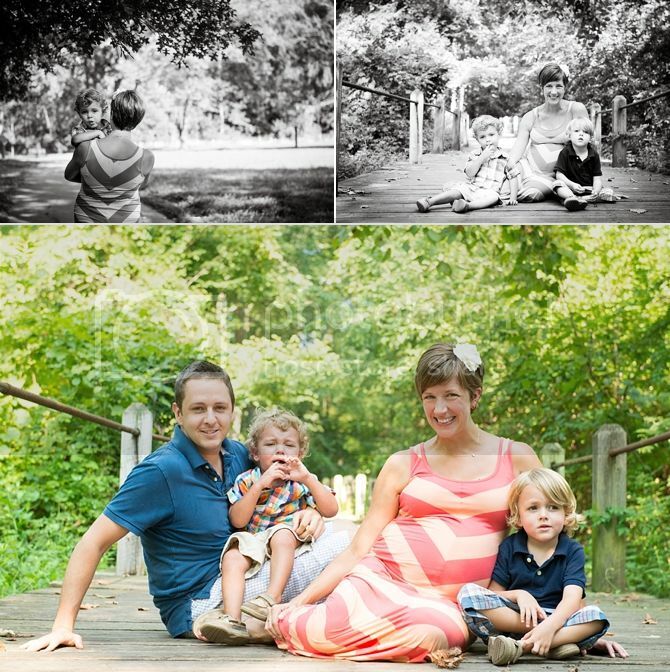 Here's last year, 2011, 2010 and 2009. The best part is just looking at my hair. Actually that's the funniest part. The best part is seeing the boys get bigger. 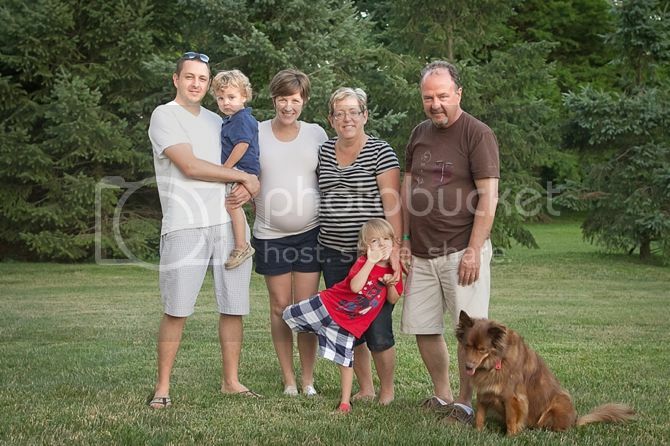 We spent this Fourth with Sol's parents--it was nice to have an extra set of hands to keep the boys safe! 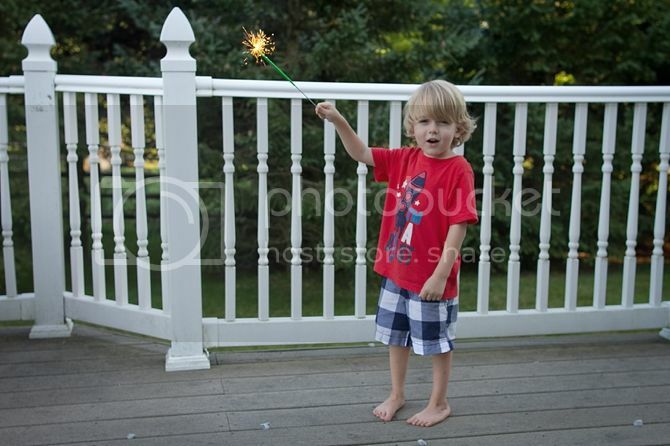 I was nervous about letting Finley do sparklers, but of course he got to after an extensive safety training seminar. 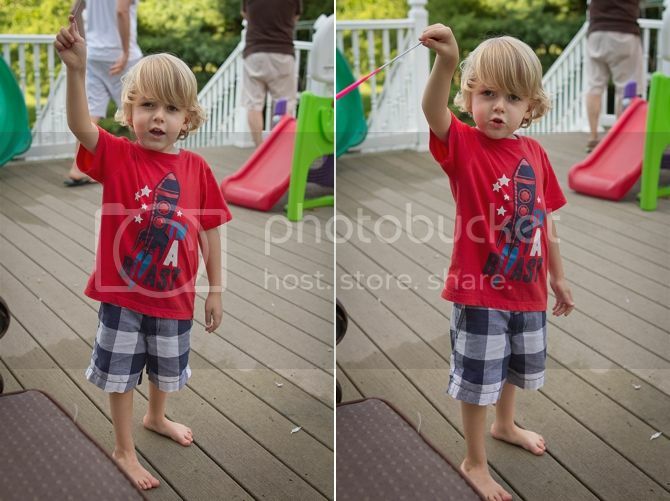 Here's him practicing, looking a bit like he's going to cast a spell on us. EXPELIARMUS! Or something. He was super cautious and nervous at first and would't move his arm--but then he moved on to drawing shapes and letters. So proud. 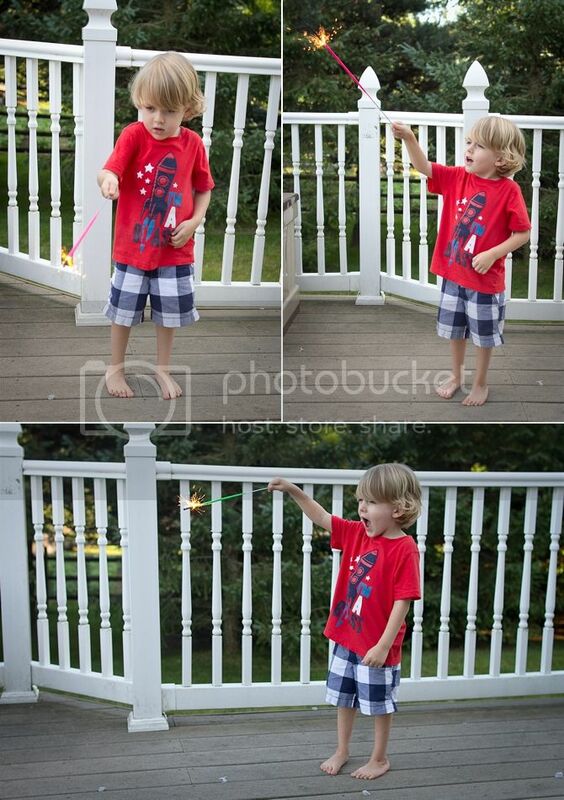 There's nothing like Instagram to make you instantly feel like you aren't doing the Fourth right--after scrolling through pictures of kids staying up until it was dark and enjoying the fireworks I felt pretty bad I sent Finley to bed at 8:30. But then we had massive meltdowns the next day and I was glad I didn't let him stay up later! It would have been fun to go to a big fireworks display... but it wasn't worth it. Maybe in like eight years. Sol set off a few very small fireworks in the driveway--Finley was really nervous they were going to be loud. They weren't. And Braden stood right there beside me the whole time. Stoically. Silently. The only thing he'd do is say sweetly, "One more!" after the firework would fizzle out. Cutie. And do you see Finley almost smiling for the camera? He caught me taking pictures of him watching the show and SMILED. Finley hasn't been napping for awhile now. And by not napping, I mean he is NOT ALLOWED TO NAP UNDER ANY CIRCUMSTANCES. A five minute doze in the car could keep him up an extra hour at night. In Virginia, he shared a room with Braden. I tried to make him have a "rest time" for awhile--either in my room or the office... but it didn't go well. Now that we are (mostly) settled here and approaching the arrival of baby #3, I decided it was time to institute a rest time. I need a little time in the afternoon to regain my sanity--by catching up on Etsy work, napping, or cleaning the house. And I'm well aware it's going to be even busier in a month! 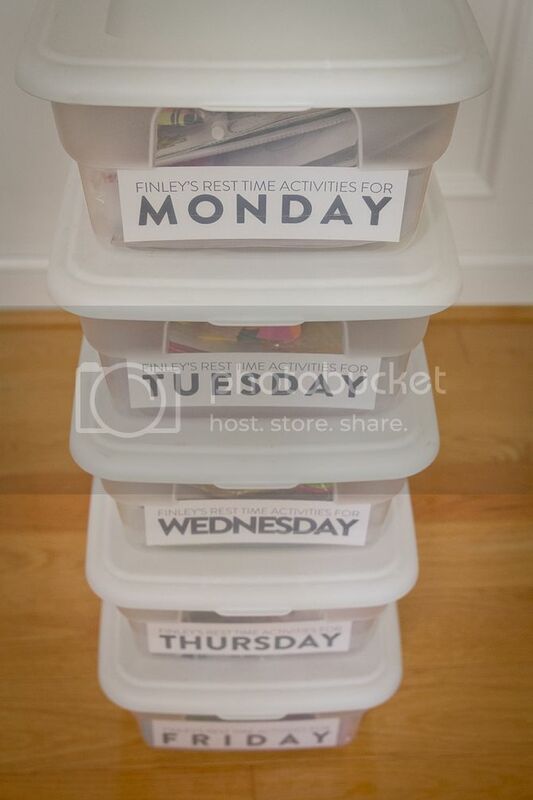 I was pretty sure locking him in his room for an hour and a half wasn't going to fly--so I put together rest time boxes for the week. (Much inspiration from my friend Jenae, here.) After posting a picture of them on Instagram, I had a few requests for more details... so here it is. I picked up 5 boxes at Walmart and filled them with some goodies at the Dollar Store, activities we had laying around the house and a few new items. My goal was to find non-consumable activities and to NOT spend a ton of money--although it's sometimes easier to justify buying stuff for Finley knowing that at least two more little boys will use it when he's done. So I like to divide the cost by three when I buy stuff! Everything is 66% off! 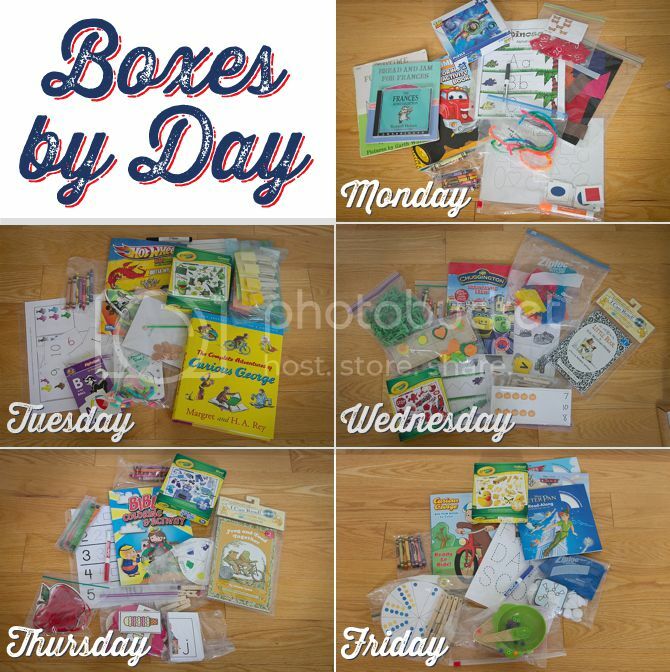 A lot of the activities are things that I either made as part of our alphabet preschool curriculum or activities that I got as part of a busy bag swap I did last year. 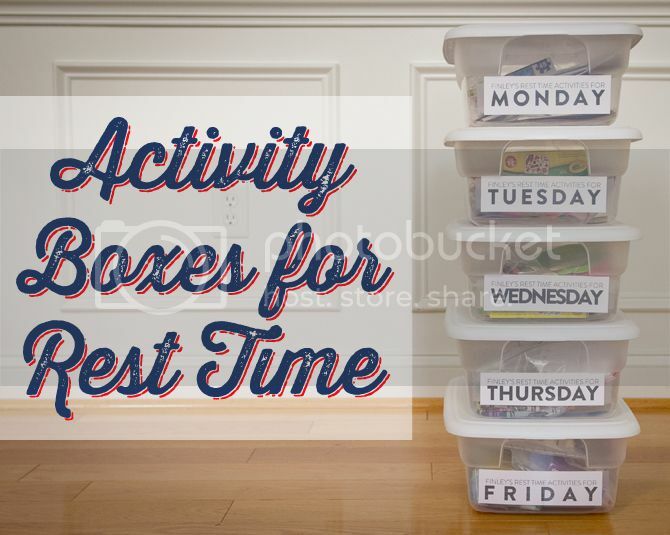 So luckily, I didn't have to make any new activities--I had enough laying around to fill the boxes. Watch the Target dollar spot and clearance racks at places like Michaels--you can start to accumulate a lot of little goodies if you spread it out! This week we are going through a box a day to make sure he knows how to do everything--and that he understands how to get everything out and put everything away. A bit more about the audio books... 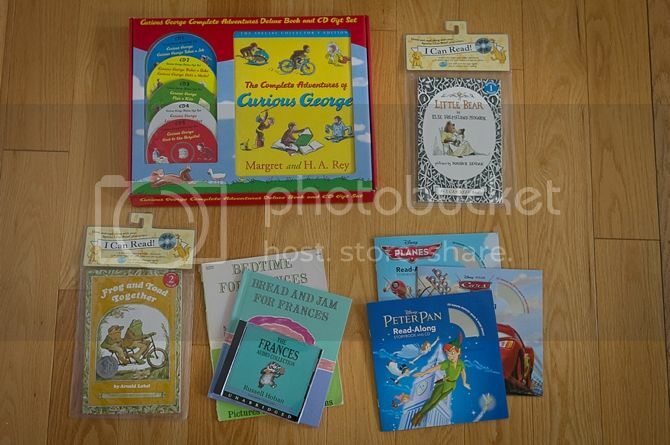 Curious George, Frances, Little Bear and Frog and Toad are all 4 or 5 story sets and some were a pretty good deal. Curious George was expensive, but Finley LOVES George. And it was seven stories in a really nice hardcover book. (It would make a great gift!) The three Disney books are fun ones for the Friday box... because I couldn't find any other "classic" book sets on Amazon. We also checked out our library and got a few, but I decided my time is worth something. The effort to reserve audio books every week and get three kids to the library seemed a little more than I want to take on. I think he'll be pretty happy listening to the books in there for awhile. I hope. Eventually, I'll end up switching out things. I assume he is going to get smarter and some of the educational things will get boring for him. (Fingers crossed.) I have my eye on a few manipulatives on Amazon and set up CamelCamelCamel alerts for them so I can snag them when they are a bit cheaper. This would be a great thing to do with a group of friends with similar aged kids--each mama can choose a few activities and make multiple copies of them to swap with other mamas. My basic motivation is to give him activities that he'll enjoy, learn a little bit from and that he can do independently. I'll come back and update after we've been doing it awhile to either encourage other mom's to join in or not waste their time... Let's hope it's the former! If you are part of the internet at all, you probably have heard that Google Reader is going away. Like, today. Big sad face. If you've been around long, you'll remember a few posts I've written on my true love, Google Reader. Shame on you, Google. My current substitute is Feedly--I don't use many of the fancy aspects of Reader, so this fits the bill. (Basically, I read blogs, use it to wait for things I want on Craigslist and email Victoria things she's probably already read.) If you already use Reader, it takes barely any time to import your feeds in, and today is your last day to do it! There's other suitable replacements (The Old Reader, AOL Reader, Bloglovin...) but I'm partial to a one stop shop for all my blogs. And it's green, which I'm loving these days. And let me just say, if you regularly read more than 5 blogs, it's probably worth your time just to use a Reader. It's one place to go to see if any of your favorite sites have updated. And you can EASILY click over to comment and see the blogs in all their HTML glory. That's all. Except that it's July which is the month this baby BETTER be born in. And that sends me into a bit of a panic. Ok, now that's all.